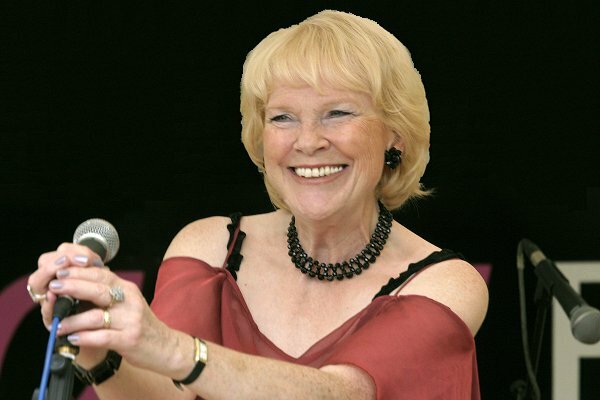 Val Wiseman’s remarkable career began in the midlands and owes much to early influences in music and drama and the opportunity of working with some of Britain’s legendary bands. Alex Welsh, Humphrey Lyttelton, Monty Sunshine and Kenny Baker were quick to notice her potential and featured her on their tours and broadcasts. Her growing reputation led to a starring role in a new Billie Holiday tribute, Lady Sings The Blues with a team of top British players. The show and album won critical acclaim, with television and concert appearances worldwide and for Val, an army of new fans. Her first solo album Just For A Thrill was released in 2003 to enthusiastic reviews and in 2008 Val’s work was rewarded when she was voted best British vocalist in the British Jazz Awards. Val still tours with Lady Sings The Blues, and also stars in a variety of musical shows: her tribute to favourite singers Divas Of Swing, the Duke Ellington songbook Sophisticated Lady with Martin Litton’s Ellingtonians, Jazz Goes To The Movies, a joyous review of film songs with Digby Fairweather’s Half Dozen, plus Gershwin tribute S’Wonderful and Swinging Down Memory Lane with John Petters Productions. Val also presents lively, illustrated talks: The Joys of Jazz Singing and The Brontë Legacy. Returning to her interest in drama and love for musical theatre, Val has written and produced an album of songs dedicated to the world’s most famous literary family, the Brontës. Keeping The Flame Alive, with music by distinguished pianist and composer Brian Dee, is now being presented as a dramatic musical show. The reviews are positive!